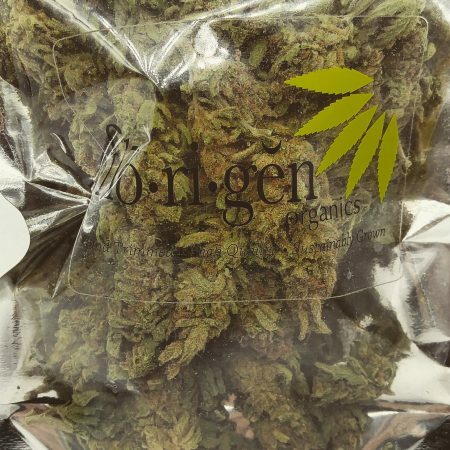 These full ounces (28g) of premium sun-grown cannabis are from Cannasol's "Florigen" brand and reflects an older harvest date intentionally, as one of this company's focuses is bringing long-cure marijuana into the recreational market. It is spray free/pesticide free and is voted by budtenders to be one of our best qualities for a low price. We have different strains rotate, please call store for exact availability.